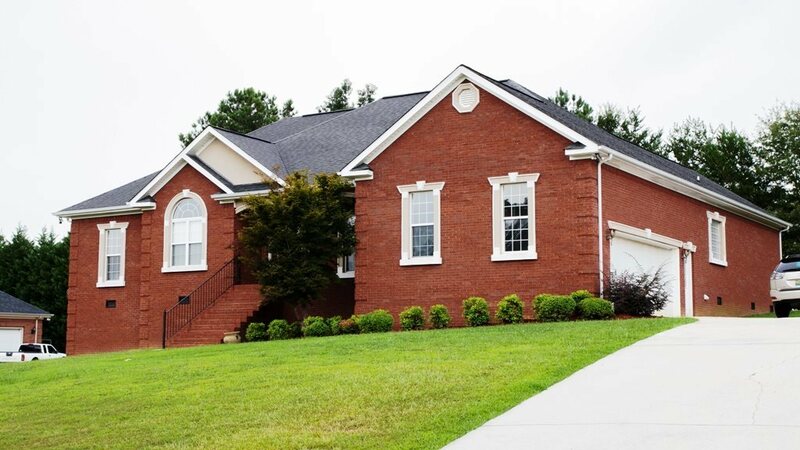 Amazing mountain view from this well built brick beauty in Oxford school district. House has plenty of extras including trey ceilings, crown molding, large owners suite with sitting area and an extremely big closet. Jetted tub with seperate shower in the bath with double vanity. Kitchen has eating area, and dining room accessible from the kitchen. Comfortable family room with gas fireplace and wide plank hardwoods. Split floor plan with two more bedrooms and an office that can serve as a 4th bedroom on the main level. Powder room for guest on main level. Large bonus room is the only room upstairs. Two car, side entry garage. Brand new heat pump just installed is a plus. Underneath the house is walk in storage, another sweet surprise in this home. One Year Old Republic Home Warranty is provided for the buyer of this property.